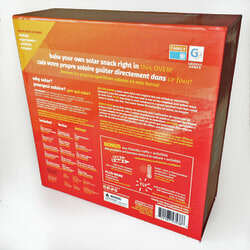 Use the sun's energy to heat up a tasty treat in this STEAM solar oven kit! 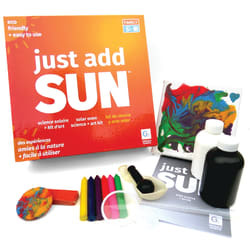 Melt s’mores, nachos, or make your own crazy crayons with the power of the sun and the Just Add Sun™ Solar Science + Art Kit. 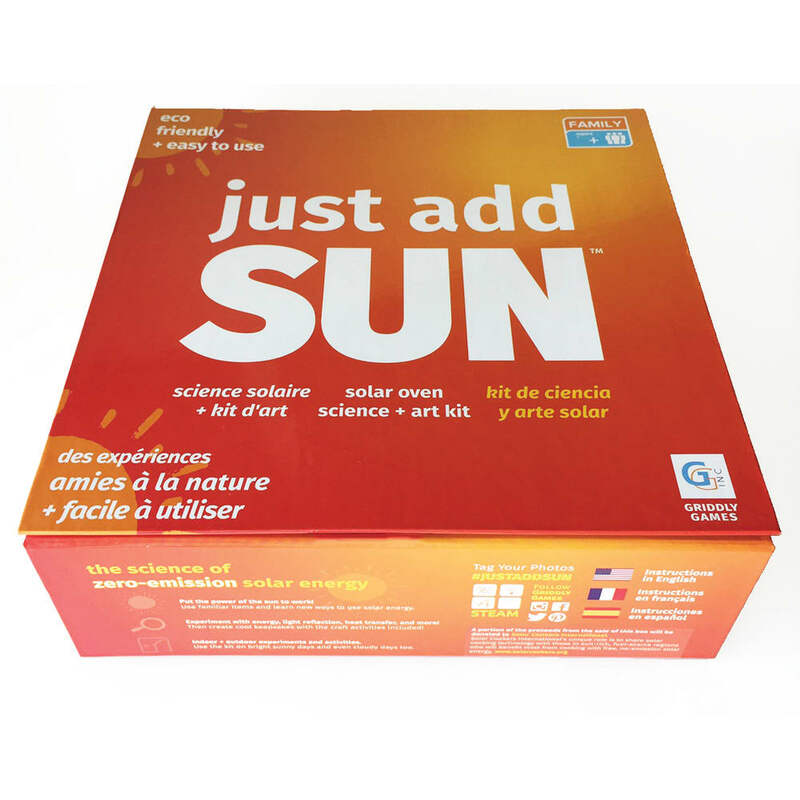 Learn how solar energy works and introduce kids to eco-friendly energy alternatives. Learn how the energy of the sun can be used for heating objects as well as cooking food. 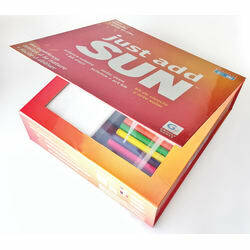 Experiment with sunlight, heat transfer, reflection, and more! Plus learn to ‘upcycle’ items to create fantastic art!